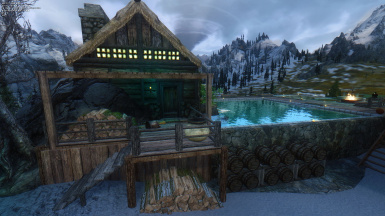 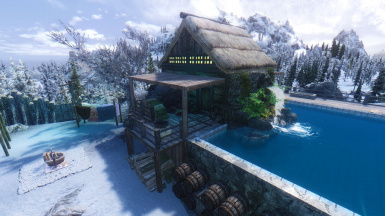 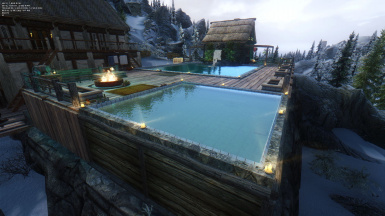 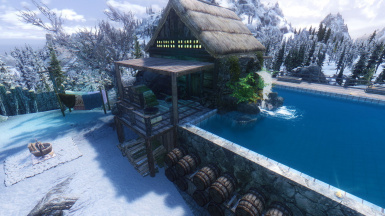 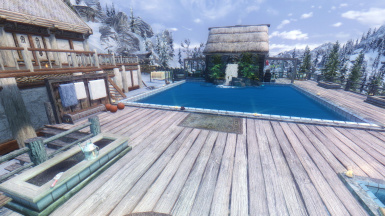 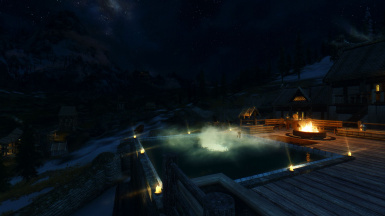 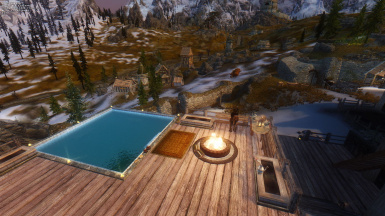 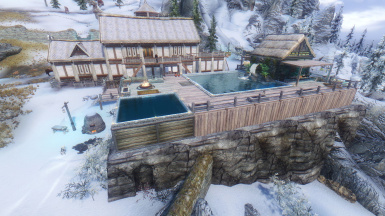 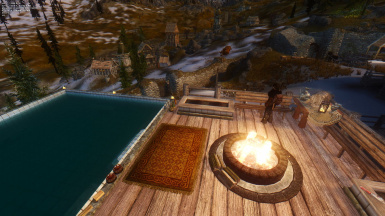 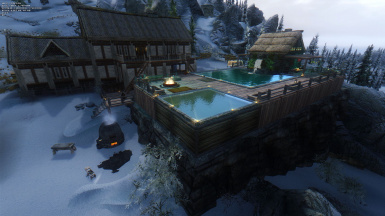 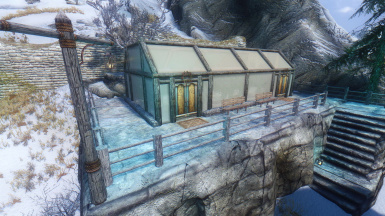 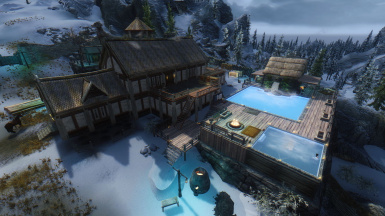 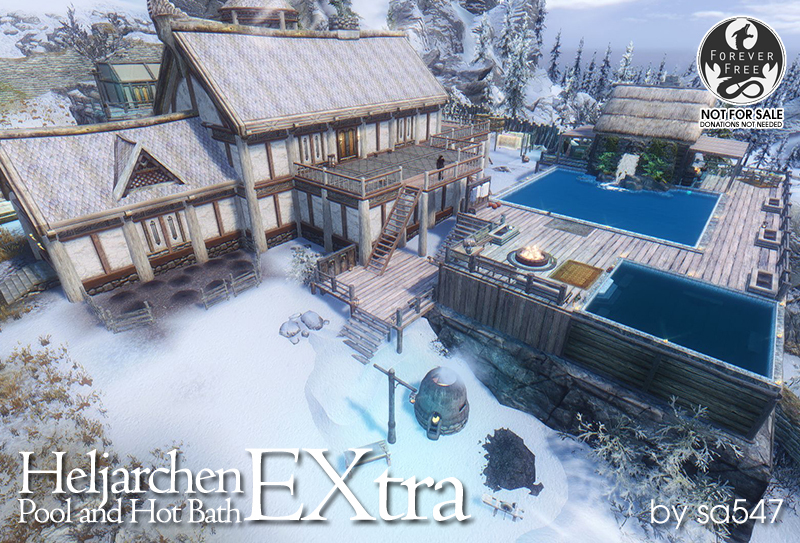 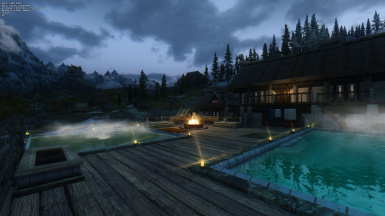 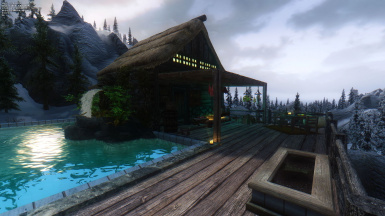 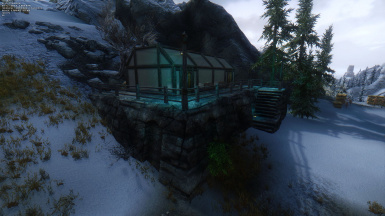 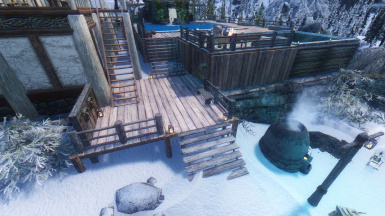 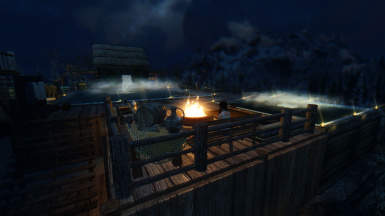 This mod adds a luxurious pool and hot bath, a new greenhouse and sauna shack for Heljarchen owners, with a good view of Dragonsreach. 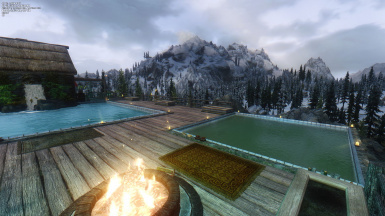 Requires the Hearthfire DLC and Skyrim Update 1.9. 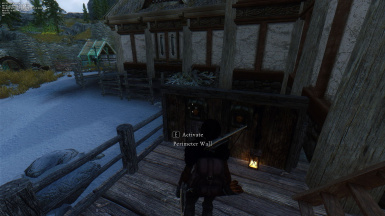 Any modification requires my permission. 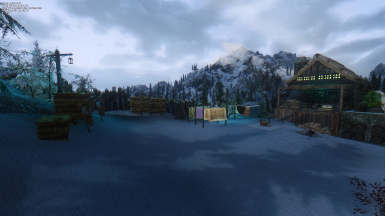 Redistribution to sites other than Nexus is prohibited without my consent. 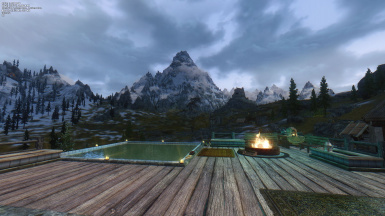 This mod cannot be sold in any form, whether be as an individual mod or as part of a commercial package. 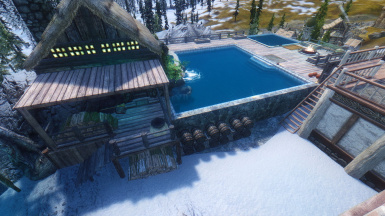 Small fix to navmesh after some users reported that NPCs cannot access the pool or the stairs. 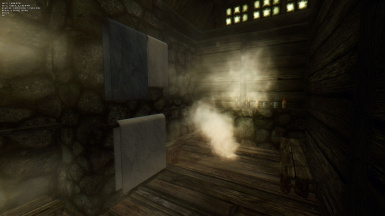 Added auto-reequip for NPCs after bathing. 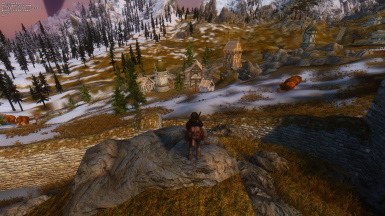 Added auto-strip functions for both NPCs and player character. 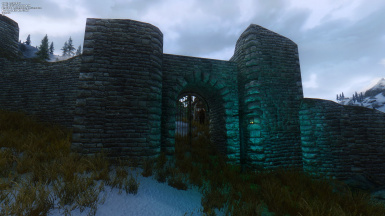 Added a bit of vines to outer stone walls to "soften" them. 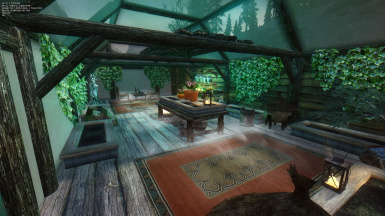 Added plants, shrubbery, trellis, insects and other enhancements to upper deck. 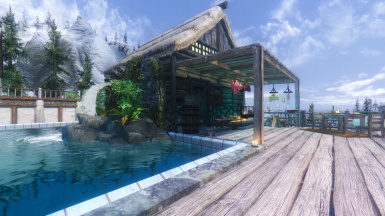 Note that when used with Tropical Skyrim, the vanilla plants will be substituted with tropical versions, thus enhancing the garden effect. 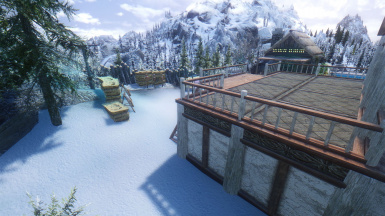 Navmesh laid in and checked. 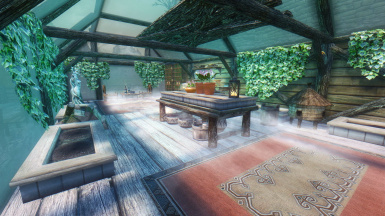 If you have Jaxonz Positioner, you can use that to fill out some of the empty spaces for further decoration. 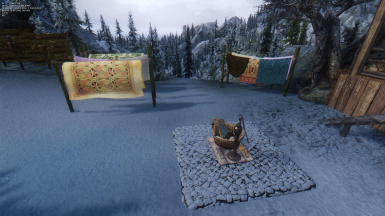 This mod requires the Hearthfire DLC installed. 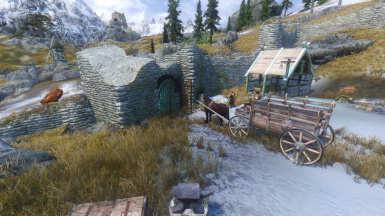 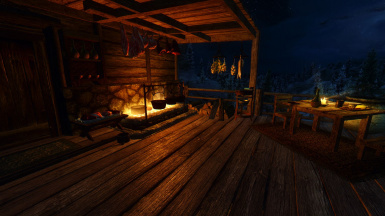 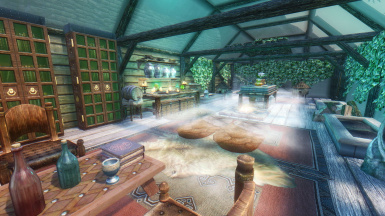 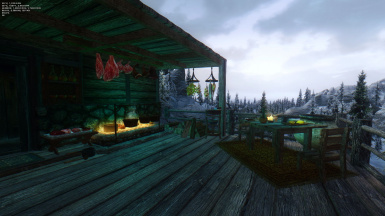 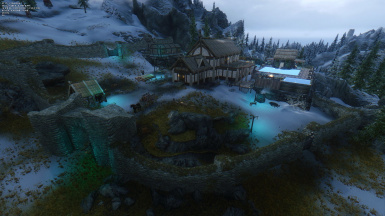 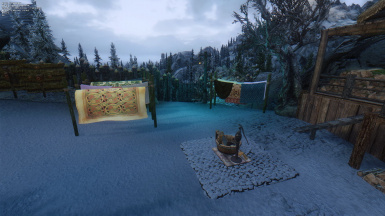 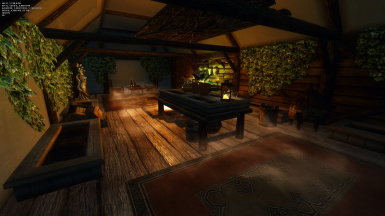 Some Hearthfire mods that alter Heljarchen may or may not be compatible with this mod; some may cause clipping while others may change the navmesh and thus may cause a CTD. 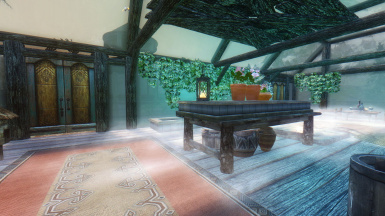 This mod is compatible with Heljarchen Hall Reform (Basic Only). 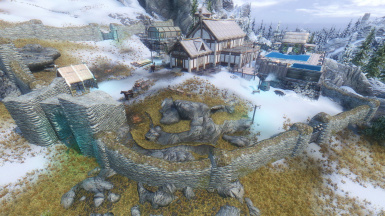 This mod is not compatible with Fort Heljarchen (navmesh, clipping). 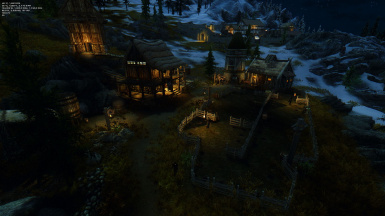 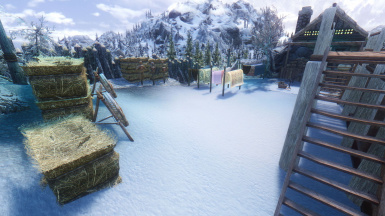 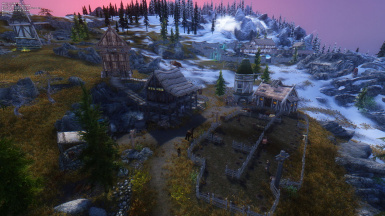 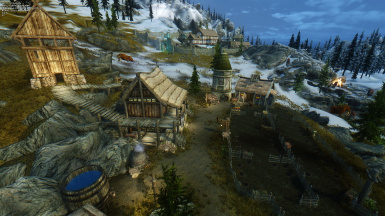 This mod is compatible with Heljarchen Farm. 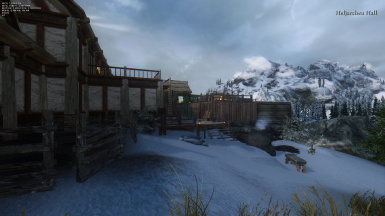 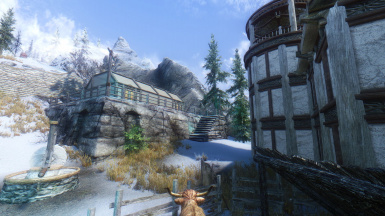 This mod is compatible with vanilla or Tropical Skyrim. 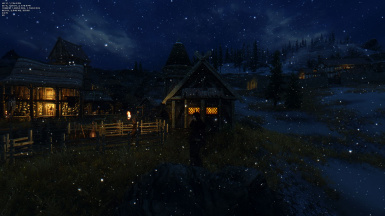 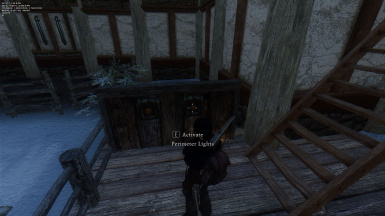 This mod is compatible with Heljarchen Hall Lights. 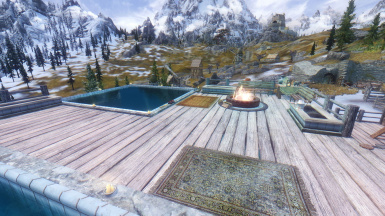 This mod is NOT compatible with Hearthfire Extended (navmesh, clipping). 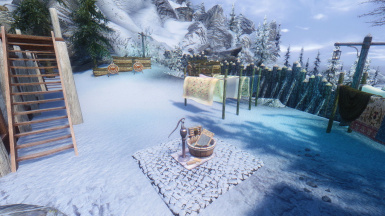 Any planned changes to this mod will require my express permission, but redistribution or uploading of this mod to sites other than Nexus and without my authorization is prohibited.